Apologies if this is in the wrong area. Searched but didnt find much. Im looking at an upgraded wheel for my ISF. Can anyone advise a good place to purchase from? Ideally want carbon, flat bottom, perforated leather, F logo etc. I know there is Ebay, RR Racing but anyone else. I have been looking at someones collection on Instagram as i like his selection but wanted to know if anyone else had places to share before committing. 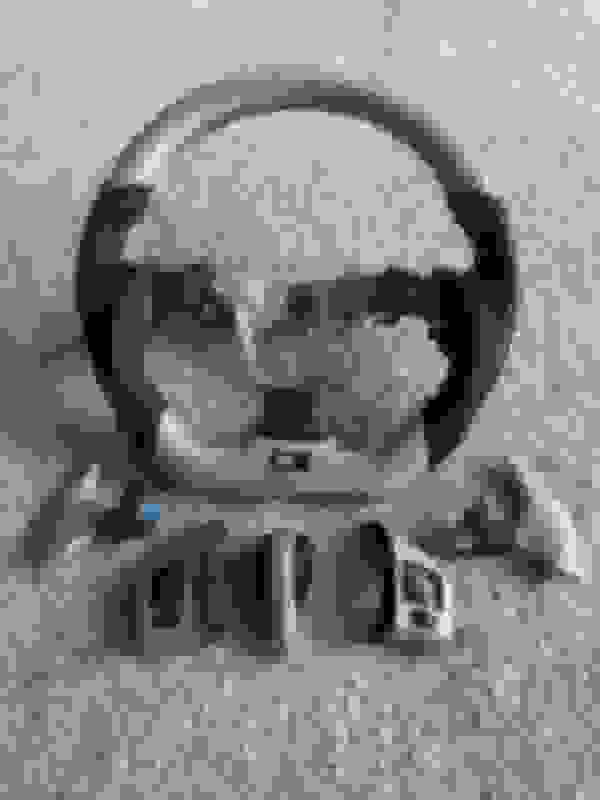 Thats sweet looking wheel, what did that run you? The did the carbon paddles as well? Who's the seller you bought from? Yup he did the paddles too as part of the package too. 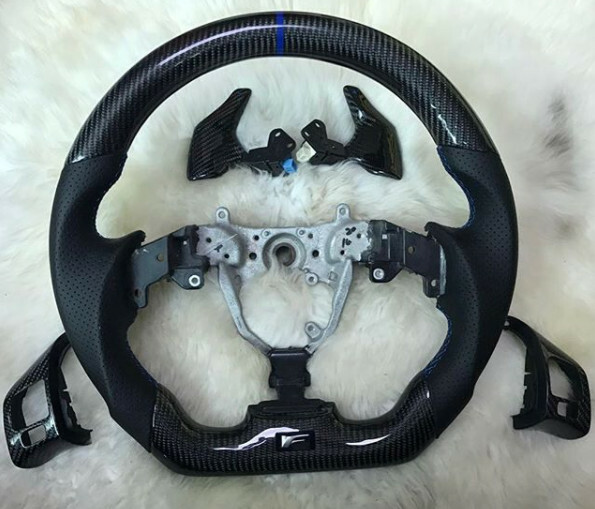 He's the only seller that I know of that sold carbon paddles as well having 2011+ sport button cut out steering wheel carbon cover. Shoot me a PM, not allowed to post on here apparently. You can find him on IG, his name is Elvin Wong. There’s a lot of Elvin Wongs on IG. Two wongs don’t make a right. We can do all that... F logo inset, ring colors, carbon paddle shifter, and any material. We Engineer Track Proven Upgrades For Your Lexus! 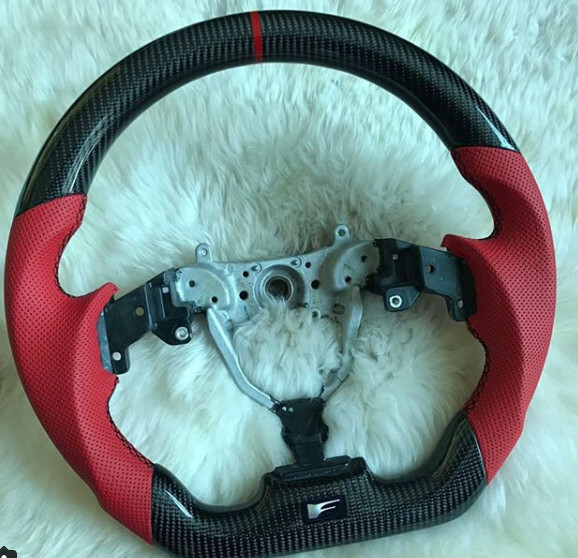 Pricing was one of the bigger deciding factor, but according to your website you don't provide the original F Logo (my carbon steering wheel came with it... I did not need to transfer my existing logo over). 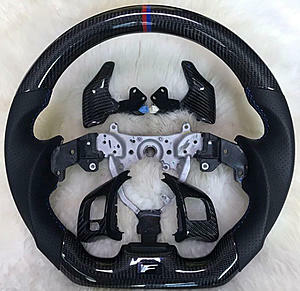 You guys didn't seem to offer 2011+ carbon sport button cover (right side of the steering wheel, different from 08-10 models) based off the website's photos, which apparently no one had because the guy I purchased it from had to custom cut it. You guys also didn't offer carbon paddle shifters and colored rings at the 12 o'clock position. Sorry Rafi, I'm not trying to deter sales your way but those were what I was looking for in a steering wheel at the time (couple months ago) and no one else had it, plus the price and turn-around time couldn't be beat. If you did offer those options, I'd recommend you update the web page to show those changes if you do in fact offer those customizations. we offer everything other than sport button. Agree 100%, same details I read. Complete CF setup for 2011.